Text messages are the simplest means of communication. You can send a simple text message rather than calling if the message that you would like to deliver is brief. It is preferred especially when it is not convenient for you to make calls. Although you store all the text messages on your iPhone, losing them, just like Soete, is possible due to an attack of a virus, corrupted software during iOS upgrade or accidental deletion. Sometimes some messages even disappear with certain unknown error. Here comes good news to Soete and iPhone users who have same problem! 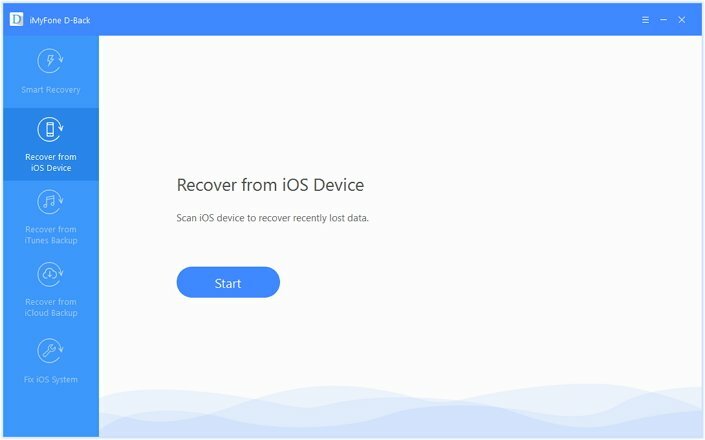 You now have an opportunity to retrieve the deleted text messages on iPhone without backup by using a recovery program and in a few simple steps. iMyFone D-Back is a recovery program that is efficient on retrieving deleted text messages from iPhone without backup. Cult of Mac also recommends iMyFone D-Back as a good option when you need recover data without backup. 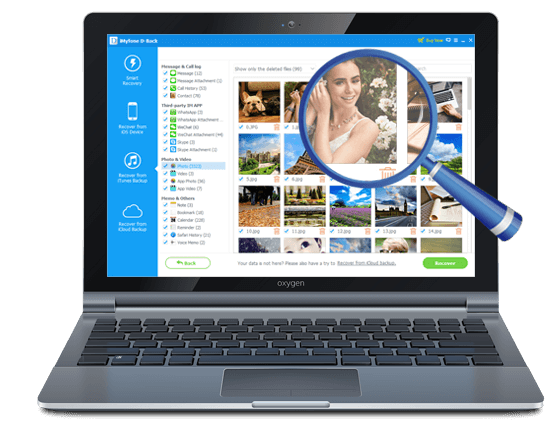 The program supports over 22 file extensions, such as photos, videos and contacts, making it a down-to-earth process. It is very safe and easy to use. With just a few clicks, the recovery is done. You can view the recoverable files before you begin the recovery process. You can simply retrieve the needed ones rather than the entire archive. You can use it for iPhone models, apart from iPad, and iPod touch running iOS version 10/9/8/7, even the latest iOS 10.3. Step 1: Go to the official website and download the trial version. Run the program. From the main screen, select “Recover from iOS Device” option, and press “Start” to choose data type for subsequent recovery. Step 2: Choose messages in the following window. Step 3: Click “Next” to connect your iOS device. And then press “Scan” after the software recognizes the iPhone. 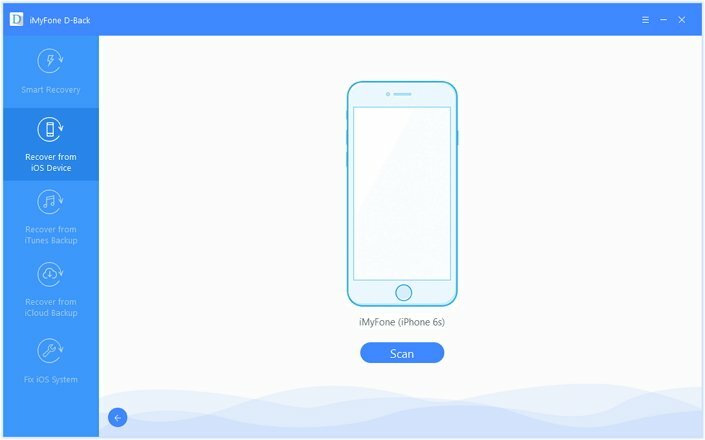 iMyFone D-Back will search your text messages from your iOS device. 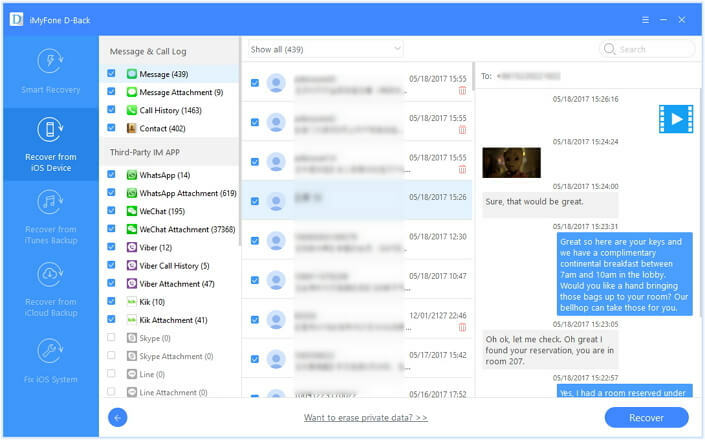 Step 4: After scanning, you will see the recoverable text messages in the interface. You can select required files to preview or mark those you need and press “Recover” button. You can also see only deleted files by choosing “Show Only Deleted Files”. The scan and preview function is free for all users. You can check if the text messages you want are recoverable during the progress. Step 5: After hitting the recovery button, the program will ask you to choose the folder where you want to save the files. From the pop-up window, navigate to an already existing folder or create a new one. Once navigated, allow the program to finish the recovery process. The time taken for the action depends on the number of messages available in the device and the total size. It is preferable to wait until the process is complete before browsing the folder. 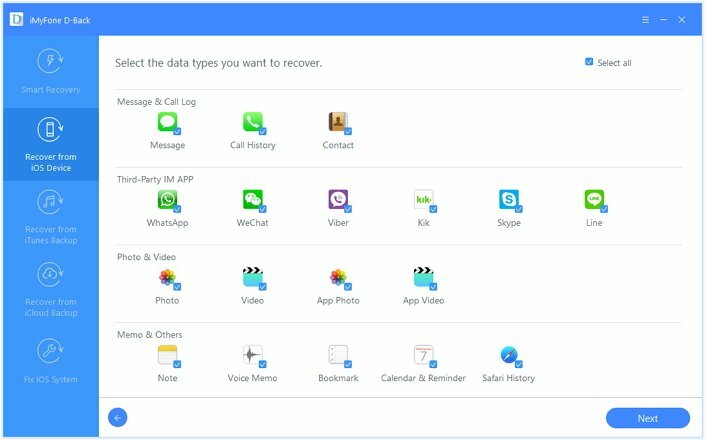 You can effortlessly recover deleted text messages without backup in a few simple steps with the help of iMyFone D-Back for Win or iMyFone D-Back for Mac. Just try it to find your data!